This item (U74895) is not currently available for purchase. 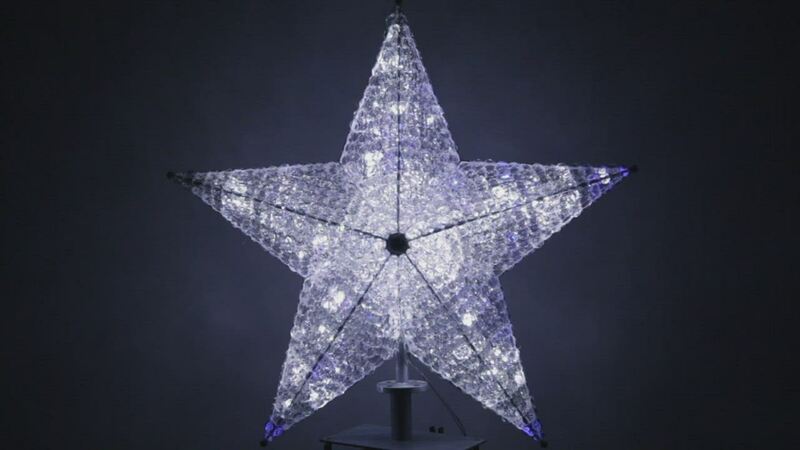 Complete your giant Christmas Tree with this stunning, commercial 48" star tree topper. Covered in shimmering, faceted pendants, this 5-point stars cool white light with blue star points provides a wintertime radiance that's sure to draw crowds.